I cleaned all of my old frames. I used the kind with L-bent wires at the bottom and the wooden slat that lays across those wires. However, instead of removing the wooden slats and busting up the frames, I’ve just added wax foundation and used pins to hold it in. The bees will do the rest. really, really hard to use – the opening is never wide enough for the wax and I end up mutilating the wax trying to get them in place. they’re too short and don’t do a great job of holding in the wax foundation. There’s always a better way. In this case, bobby pins! The uncoated kind. They fit perfectly through the holes, it’s easy to insert the wax so no mutilation. They’re much faster, easy to find, and cheap! I use two, one on each side, diagonal from one another. And because they extend much farther, they hold the foundation in much better. At this point, use wireless foundation since they don’t care for the wires. The bees will glue everything in for you. Well, so much for the 60 degree days. It’ll be 9 degrees here in Central MD tonight. For us, that is COLD. Burr! This is the time when I start to worry…and wonder…and worry…and wonder if I did right by the girls this winter. Hoping for some warm reprieve. In the meantime, I’m getting more candy made so I’m prepared to stock them up on food the next time I’m able to get into the hives. I’ll step up there tomorrow and clean their entrances of dead bees. The bees aren’t the only ones who are cold. We have two kittens who showed up at our house over a year ago. A year later, they’re still here, inside all cozied on our bed. Spoiled little monsters. But their mamma is very ferrel and she still comes around. We feed her and the hubster made her a nice covered shelter with lots of hay for burrowing, which she has not yet used. It breaks my heart that she’s out in the cold while her youngsters are living the high life. But she’s a wild one. Very very skittish. She’s a bee-utiful girl too. Makes me wish I was Dr. Doolittle and could talk to the animals. Then there’s the great indoors – I love soaping. My latest project was a 3 lb batch of cold process honey oat soap. I was excited to try out a brand new soap mold. The key word here is “soap” mold. 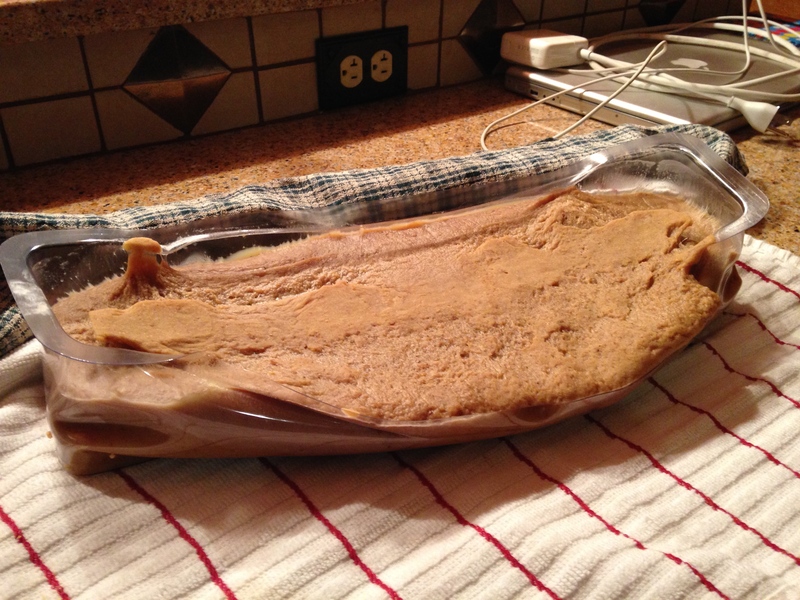 Soap is not cold when you put it in the mold. 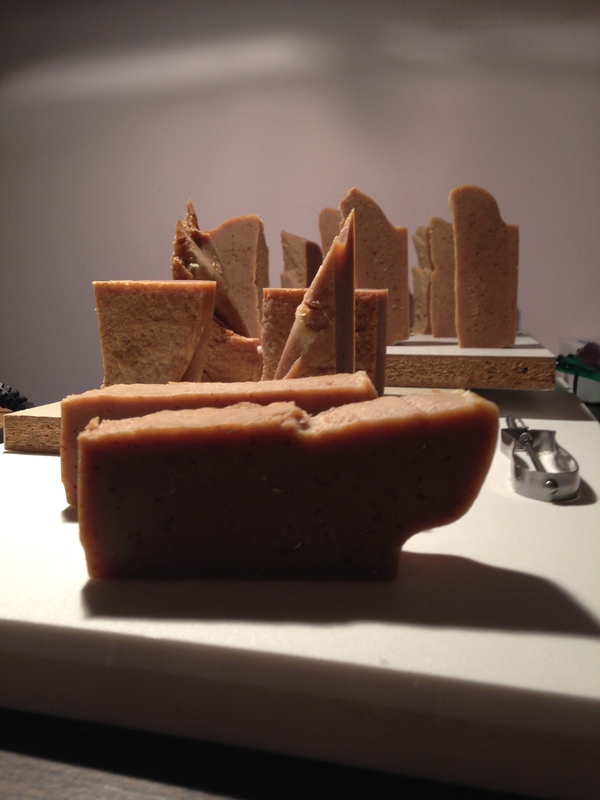 It is still warm and pourable, so you would think that if a mold is designed for soap, it would withstand some heat. Well it started off great, then a few hours later we had a melt down…literally. The mold melted down and my soap collapsed. Disappointing. I love the handsome, uniform bars. But I’m over it. In 4 weeks it’ll be ready for the bathtub or shower and no one will care that it looks like the state of Tennessee or a monument from Stonehenge, as long as it lathers up and cleans. I hope everyone else’s indoor activities are going well – getting the equipment prepped, making candy for the girls, reading up in preparation for the spring explosion. 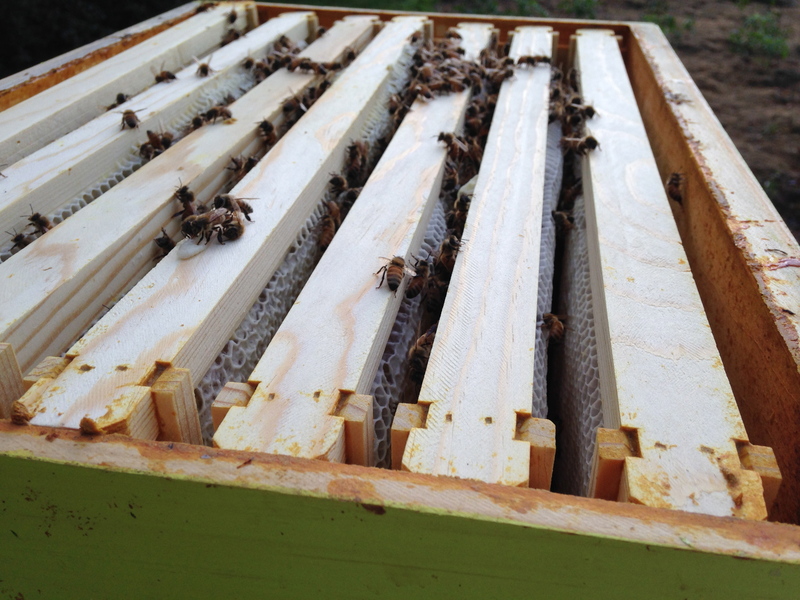 I’ve already seen beekeepers taking orders for nucs and packages, and our bee club will be holding their annual new-beekeepers course in another week. Wow, time goes crazy fast. 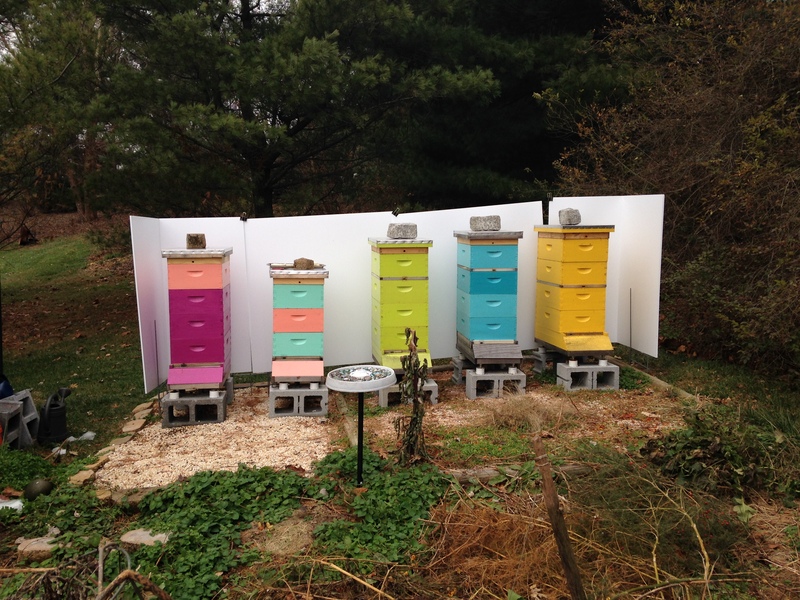 To you and your bees – hang in there, stay busy, and stay warm. Between work and the holidays, my free time has disappeared, and so I’m playing catchup on my bee journal. The weather changes every few days around here – 60’s and sunny one day, then below 30’s and bitter cold. I don’t mind that because the girls get opportunities to get out and about and I can check on their statuses. I confess that during the winter I never quite know what’s going on, and I’m never an optimist. Anything can happen at any time. Everyone is still flying about during warm spurts, but I have noticed that Purple Hive has a lot more dead bees coming out of the hive than the others, and Mint Hive doesn’t appear to have much activity at all. When I lift the lids, I see bees in all hives but Purple Hive. That doesn’t necessarily mean they’re dying out because they may be toward the bottom staying warm. Candy has been consumed and they are cleaning house regularly, so there is activity. I just have to sit back and hope for the best until the weather turns warm enough to warrant further investigation. I hadn’t shown off our winter wind breakers this year. Last year’s wind breakers were very effective, but a bit tedious to put up and maintain. This year we went with a simpler approach. My husband owns a large format printing business, which means he has access to coroplast and metal frames that stick in the ground. 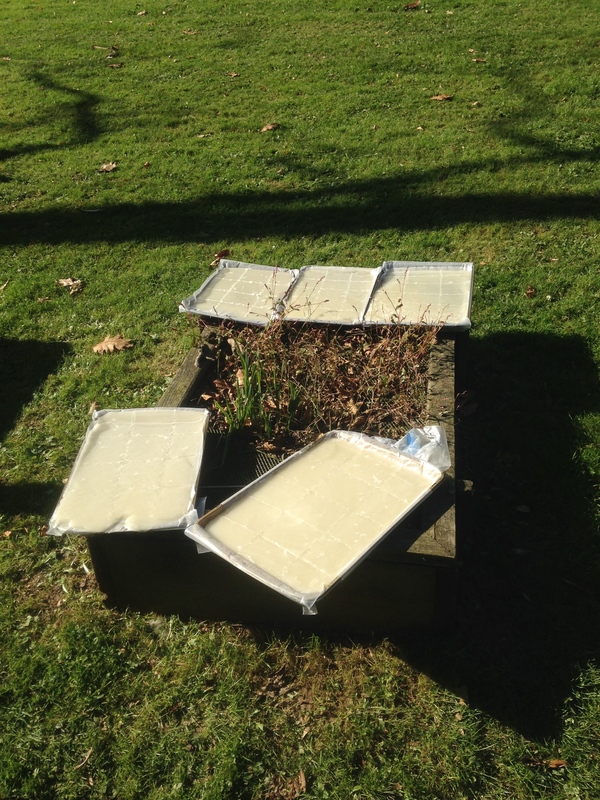 He used thick 1/2 inch 4 ft x 6 ft sheets of coroplast to form a barrier around the outside of the hives. This creates an easy, inexpensive and effective wind breaker. I don’t wrap hives, mainly because I believe that hives need to breath and that wrapping prevents that, causing ventilation issues. If we lived in Canada or Vermont, then yes, I would probably wrap. But with our warmer climate, although we have cold spurts and snow, I don’t think it warrants wrapping. 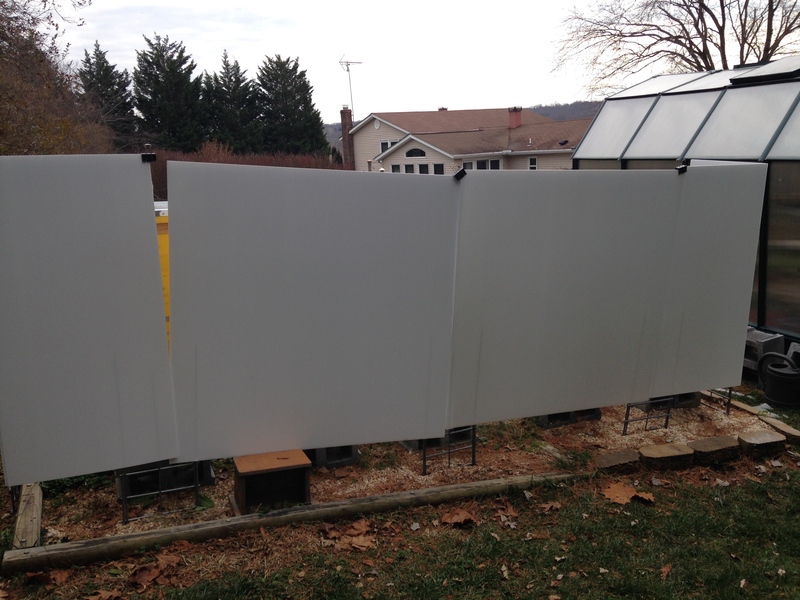 Wind breakers help tremendously for keeping out the cold and they’re much easier to work around. 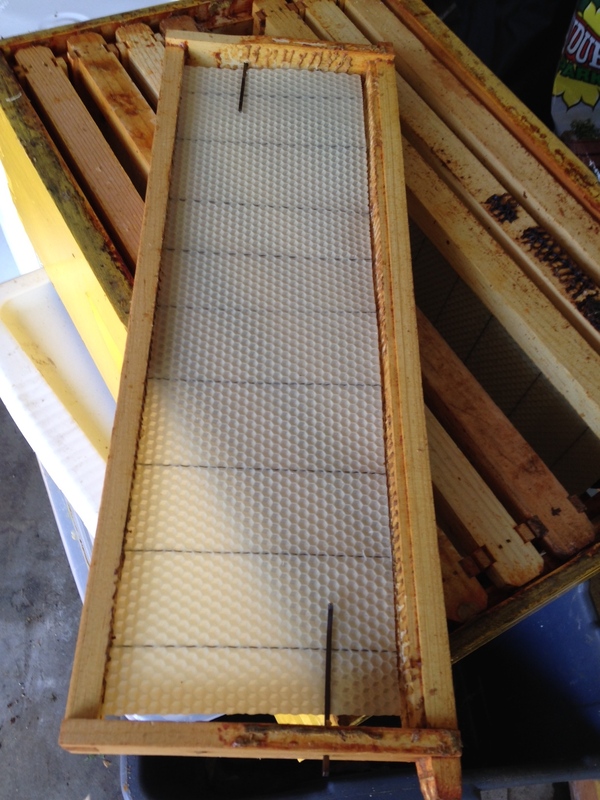 Bees can manage in the cold – moisture is a bigger problem. I mentioned that they’re eating candy. 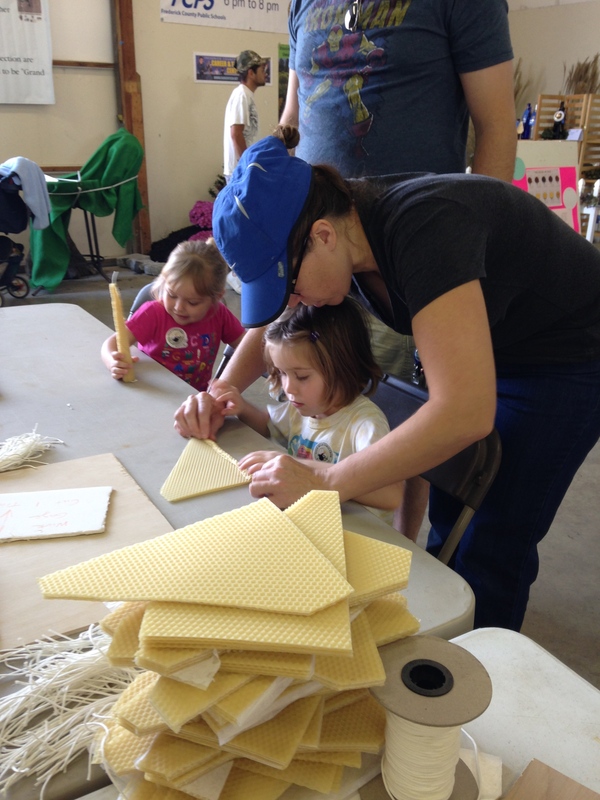 In November our bee club had our annual Candy Making Party. I love the candy making party. 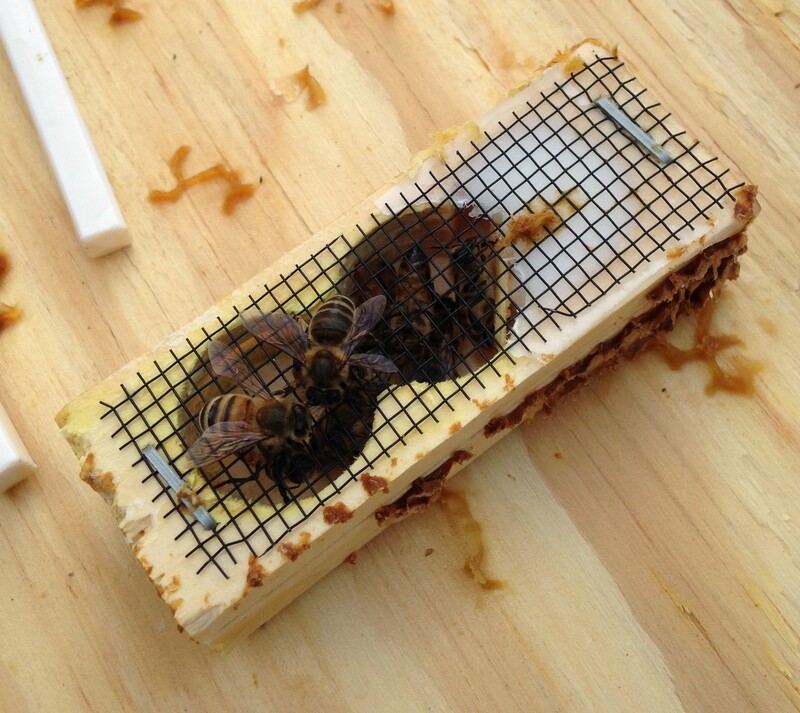 Always a fun time to get better acquainted with other beekeepers, ask questions and learn. Click here to check out our candy recipe. The bees seem to enjoy the candy and since the party, I’ve already replenished their supply. Some feel that candy is for emergency feeding. True, but I don’t think it hurts to keep it in the hives during the winter to ensure they always have food. If they don’t need it, they won’t eat it, it’s a simple as that. 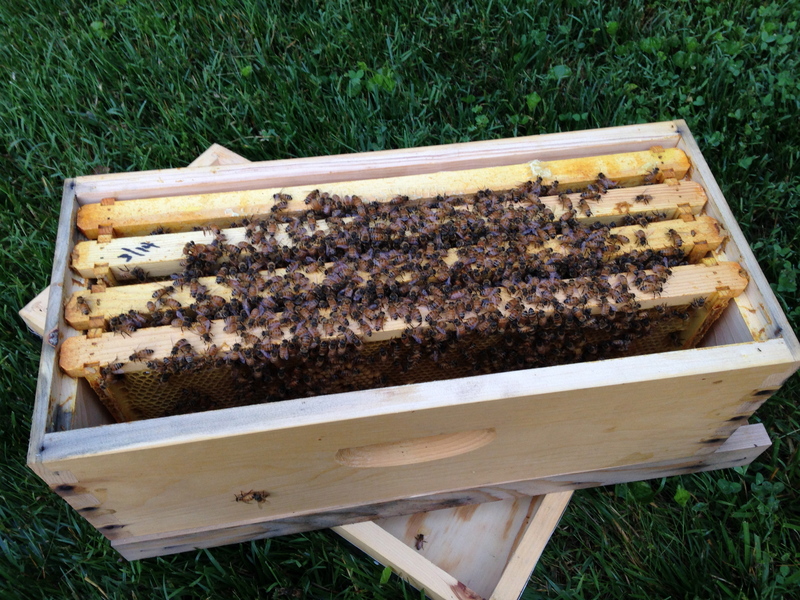 I supplemented with candy all winter last year and had two very healthy hives come through with flying colors. One lesson I learned is NOT to cover the top of the frames with candy because this inhibits ventilation. 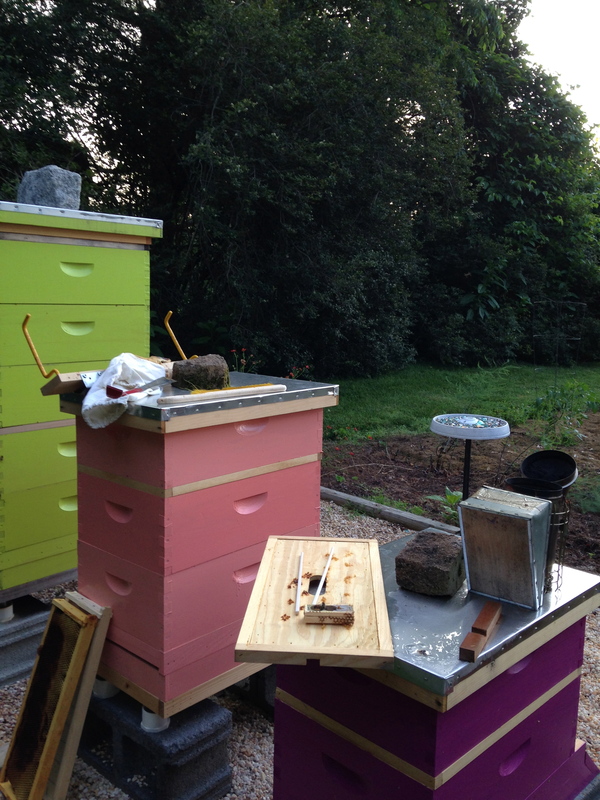 This year I placed the candy across the front third of the hive on the side where the morning sun first hits. This helps soften the candy and allows plenty of room for air to circulate. So there you have a two month update in a nutshell. 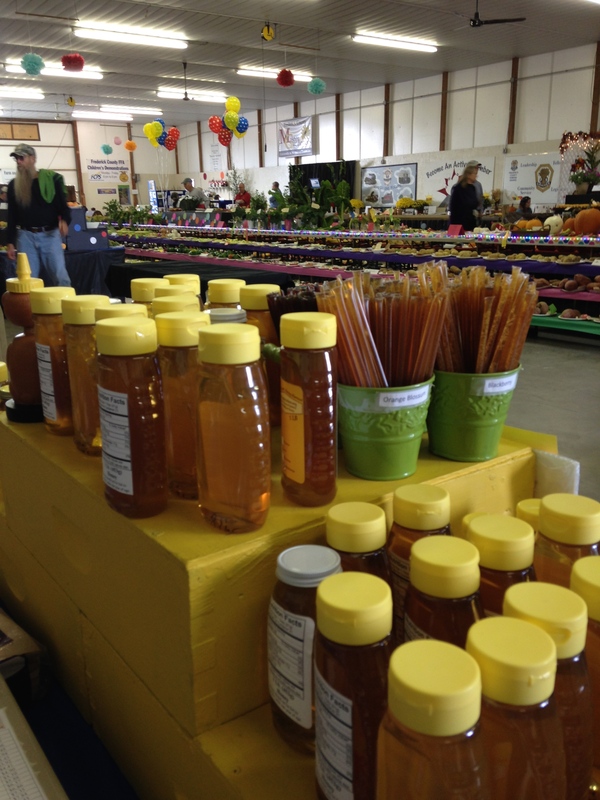 Bees, winterization and candy…oh my! Hope everyone’s girls are hanging in there through this cold and blustery time of year. Expect the worst and hope for the best…that’s my motto! I am looking forward to the quiet time to catch up on indoor activities like reading up on my strategies for the coming year, cleaning equipment, and making homemade lotions and potions. Stay tuned for fun recipes and how to’s. 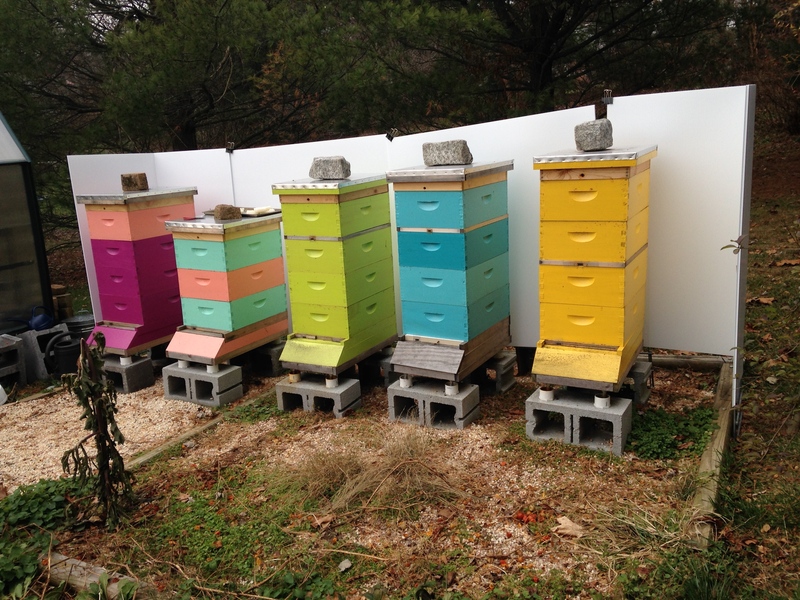 Best wishes from all of the BooBees at BooBee Honey for a bee-utiful, happy holiday season!!! 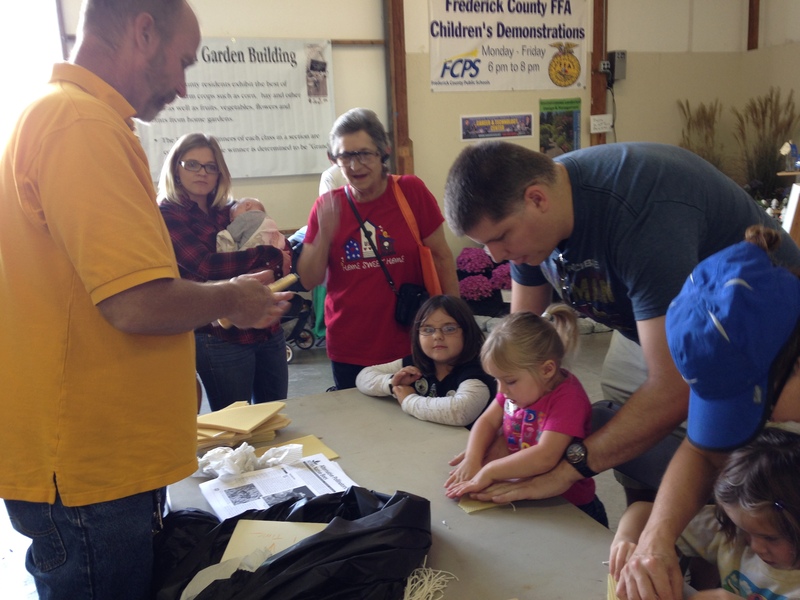 2014 Frederick County Fair – Popular Bees! 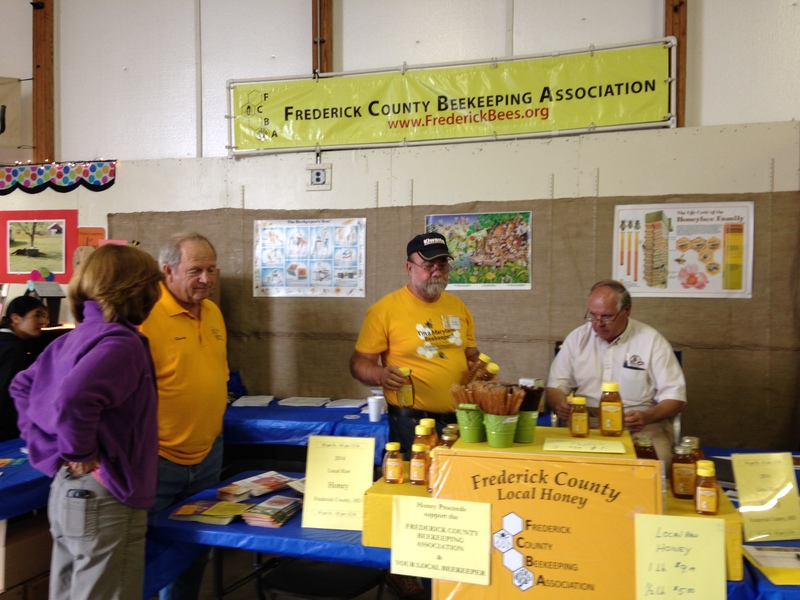 One thing I look forward to each year is working the fair with the Frederick County Beekeeping Association. 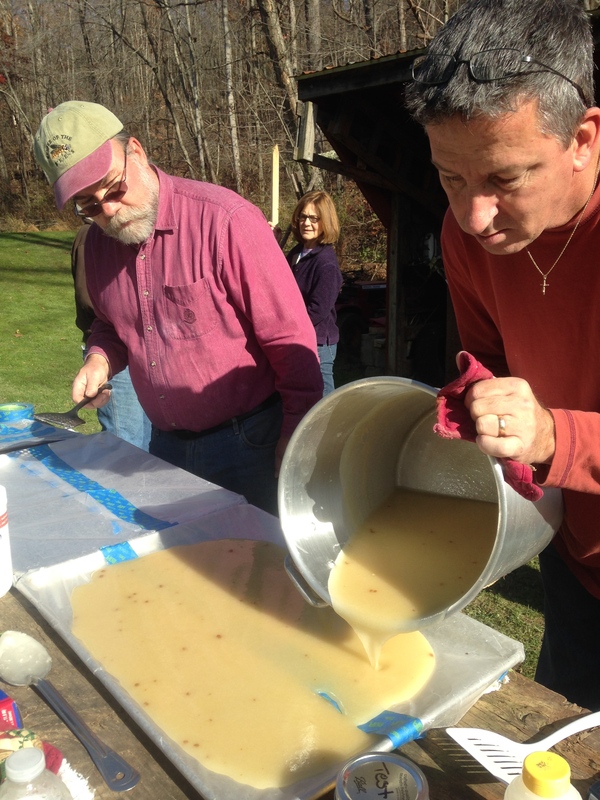 In addition to selling hoards of honey and educating our locals about beekeeping, colony collapse disorder, the benefits of honey, and so much more, we also teach them how to make hand rolled beeswax candles! 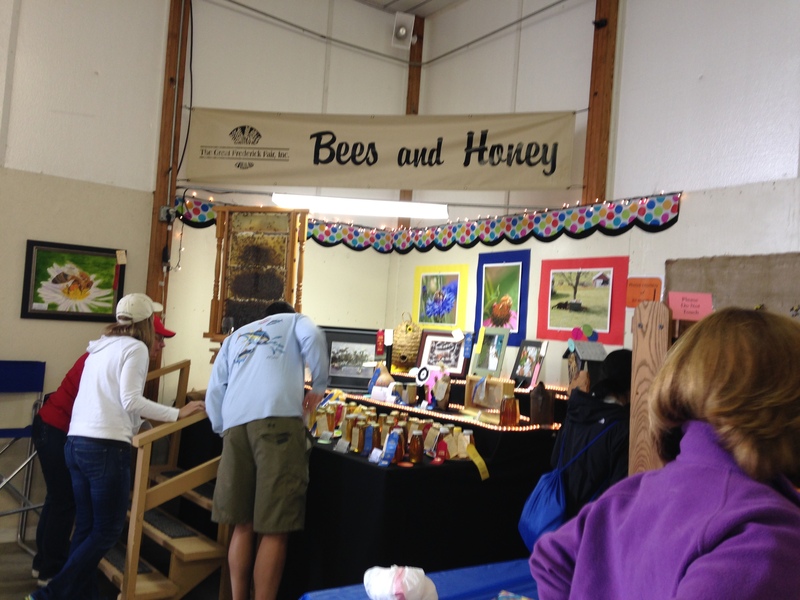 People make a bee-line to come visit us and see the bees! It’s really a wonderful event. The epipen is a stick of adrenaline, literally. If you find yourself reacting badly to a sting, like throat closing, unable to breath – then you stick one of these into your thigh, which releases adrenaline into your system and makes your heart race, which somehow counteracts the reaction and can save your life. 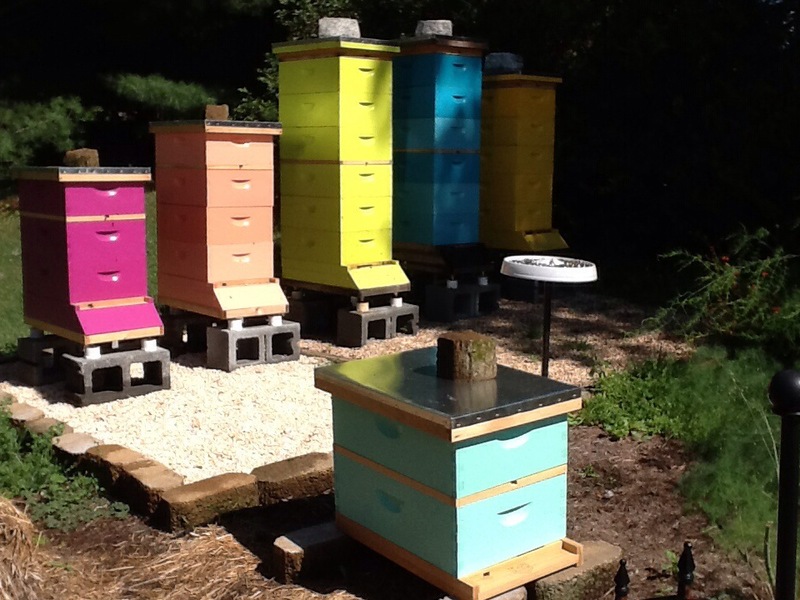 Every beekeeper should have one around the house, if not for themselves, then for visitors. It is lifesaving insurance. Two seasons and six hives later I finally decided, or rather remembered to call my doctor and make an appointment to get an epipen prescription. We recently had dinner with friends, one of who was a member of the actual team that developed the epipen. He asked about the bees and my husband relayed my large poofy reactions to the stings. I’m not deathly allergic, but I do swell considerably. In no uncertain terms, he said I needed to get an epipen IMMEDIATELY, and followed with horrible stories of people who died because they disregarded their reactions and symptoms to stings. 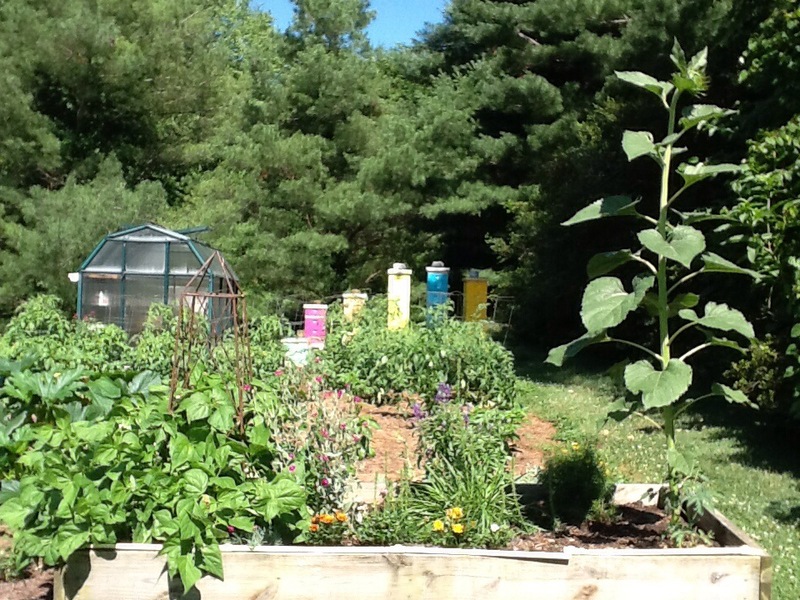 I met with my doctor, and after answering the standard questions – “how’d you get into beekeeping?”, “what do you do with your honey?”, and so on – my prescription was called in and I was warned – “they’re pretty expensive”. Really? No one told me they’d be very expensive. Next stop…the pharmacist. I asked “how expensive are they?”, and his response – “they’re expensive as hell!”. 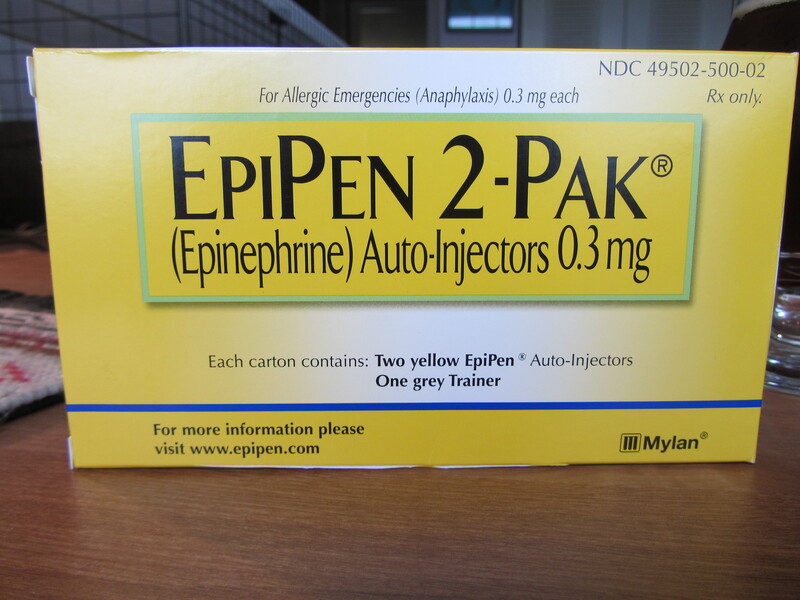 For two (yes, they only come in two packs) epipens that I hope I will never have to use…ever…they cost $400. I just about choked on my own tongue. How do you make a decision like that? Whether to take the risk or spend $400? Even $200 for one is insane, yikes! But the alternative is even worse. Decisions, decisions. Luckily, insurance did cover them, so my decision was easy. $30 later, me and my epipens were heading home. What if insurance didn’t cover it? How many beekeepers opt NOT to purchase them because they’re so expensive and they don’t have insurance to cover them? A vast dilemma I’m sure, and something that’s easily dismissed until time of need. In anycase, I hope this little experience sheds some light on yet another side of beekeeping that many may not know about or consider. We hear about near and final fatalities from bee stings all the time, and I for one, take risks and get stung regularly, thinking I’ll always bee fine – just war wounds, part of being a beekeeper. But I confess that having the epipens does offer some comfort, knowing that my husband, my family, my friends, myself – we’re all safer now because I have two epipens in my bathroom drawer. I hope never to have to use one, but they’re there if the need arises. 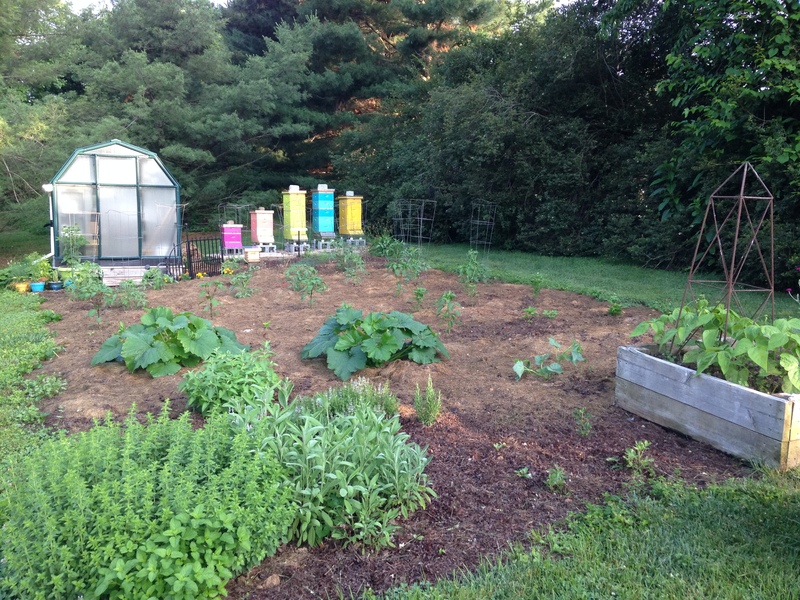 I have returned after a week away from the girls and I’m happy to report that they are all present and accounted for, happily buzzing about and making the garden grow so tall that even my tallest hives barely peek over top. The garden provides some food sources, as does the clover and flowers, but trees are the primary sources of pollen and nectar for the bees. Now that they’ve stopped blooming, we’re experiencing some dearth, resulting in robbing activity and a frenzy on our hummingbird feeders. During our drive through South Dakota, the grasslands were filled with yellow flowered alfalfa. I thought about how my bees would go nuts in a field like that. 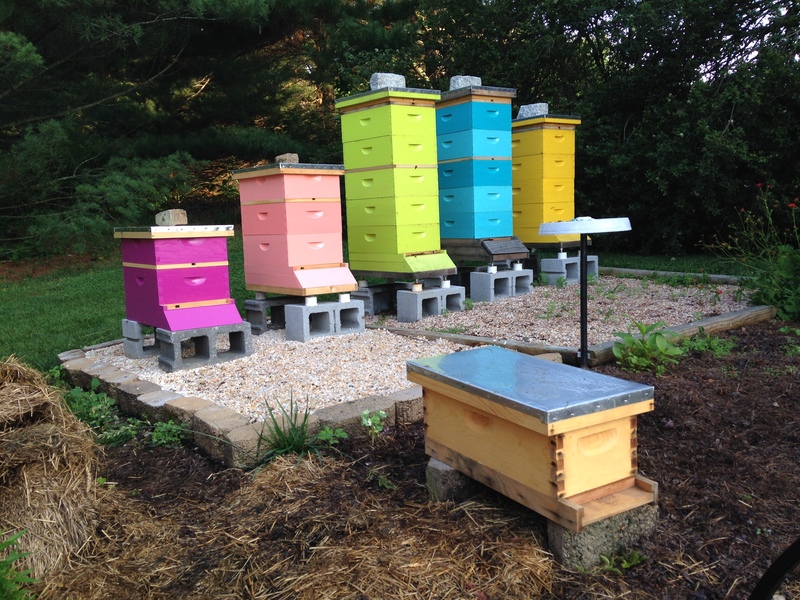 I’m always amazed at the many, many locations that would bee perfect for keeping bees – like parks, nature reserves, and vast fields of wildflowers. Seems to me the best way to increase the bee populations is to give them more places to live and flourish. 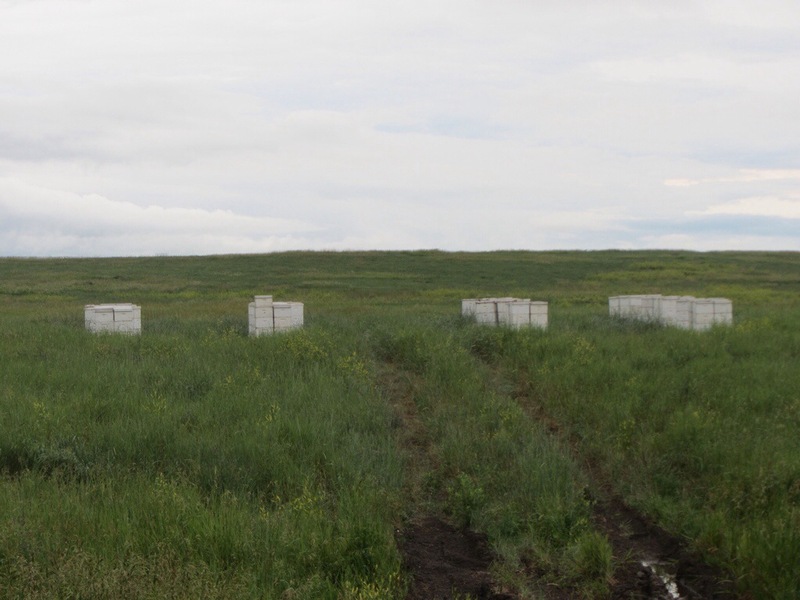 So I was happy to see apiaries set up periodically in the grasslands along the highway.